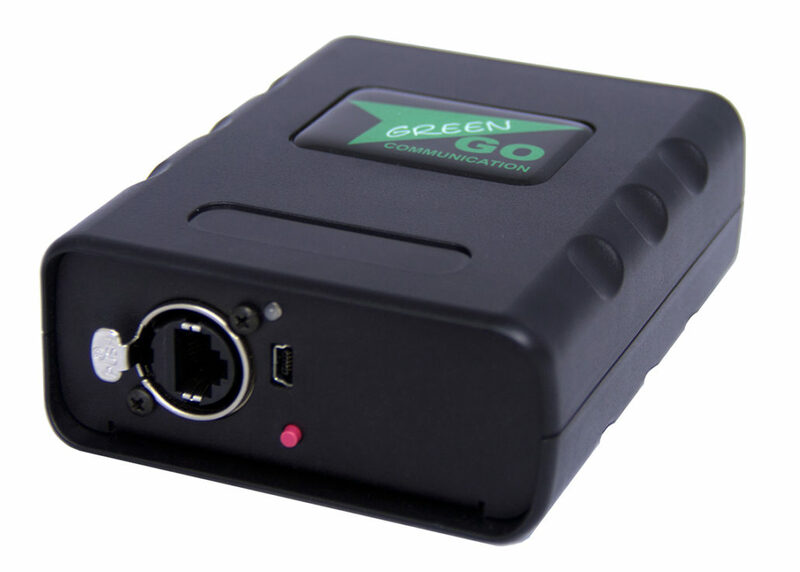 The Green-GO WAA antenna is required to integrate a Green-GO WBPX Wireless Beltpack into a Green-GO system. The antenna uses DECT wireless technology to ensure smooth, interference-free communication with the Green-GO WBPX Wireless Beltpacks. Each antenna can be paired with up to four different Green-GO WBPX Wireless Beltpacks. 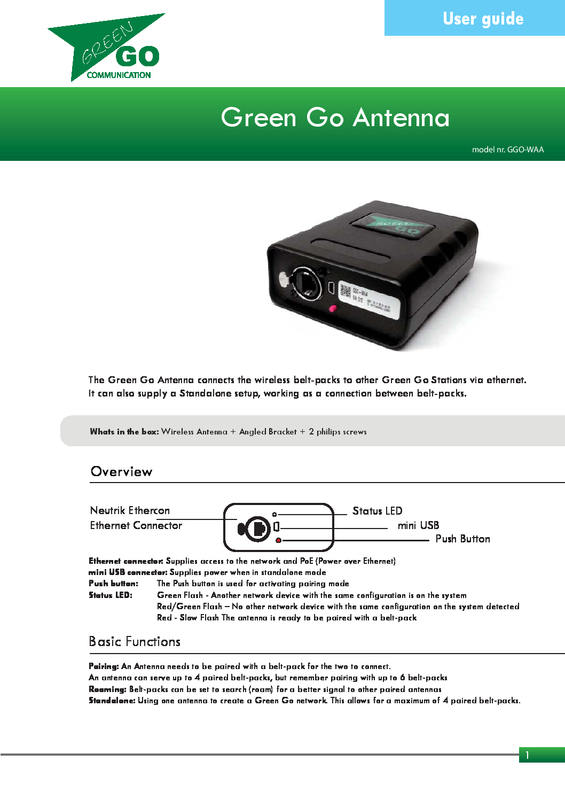 You can also use additional Green-GO WAA antennas to extend the range of your wireless system. The WAA antenna is connected via the integrated RJ45 (Ethercon) network connector.